New Price for Perfection! 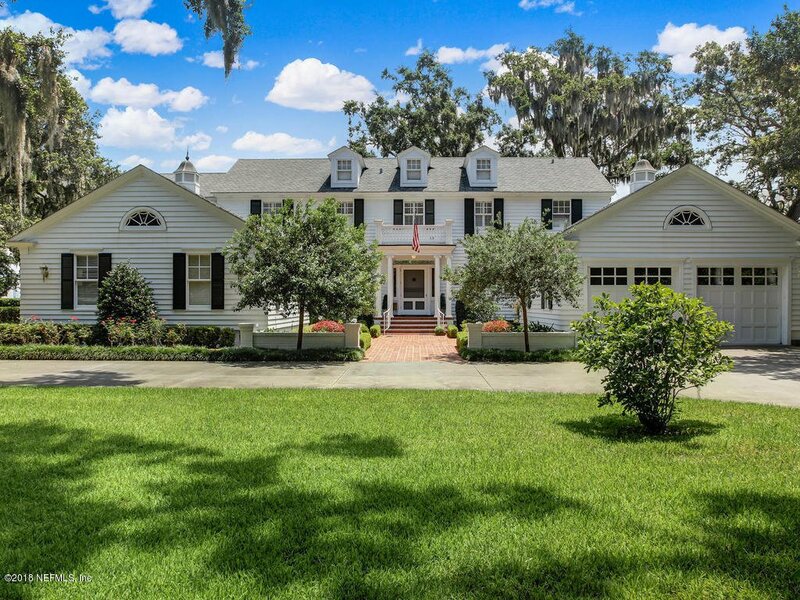 On a bluff, high above the majestic St. Johns River sits this one of a kind home full of southern charm with spectacular views. Beautifully renovated in 2008, with meticulous attention to detail, this riverfront estate is at once historic and modern. Welcome friends and family, for the holidays or just a casual visit, this is the home where everyone will want to gather. Cooking together in the fabulous gourmet kitchen, pool parties, celebrating while watching the 4th of July Fireworks, or just relaxing around the cozy fireplace in the spacious family room, 4703 Ortega Blvd. is the place to be. And for the hobbyist, the large air-conditioned work shop is a dream! With a luxurious Master Suite and 3 spacious guest rooms, all with en-suite baths, everyone has their own private retreat.. Beautifully landscaped with gorgeous old growth oaks, sweet southern hydrangeas and lovely brick pathways, this is truly a southern gem waiting for you to begin the next generation of memories. Please see click on the Virtual Tour under the Photo Tab for an amazing video tour of the property. And please click on the Documents tab to find the floor plan, features list and survey.